The ‘Get Started’ campaign centers on the insight that the hardest part about prioritizing dental health is making that first appointment. Aspen Dental knows how difficult it can be to move beyond the variety of barriers - financial, logistical, and emotional - to make an appointment, and is therefore committed to making the dental experience easier and better. 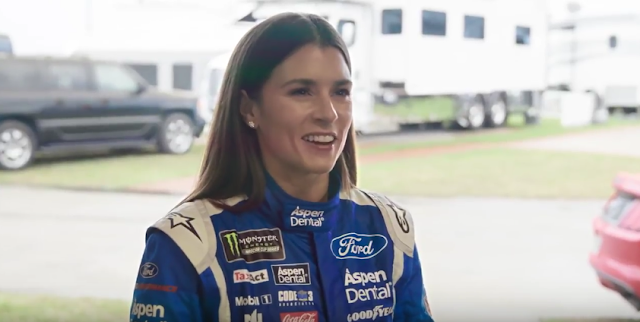 The ‘Get Started’ campaign urges people to own their own start - much like Danica Patrick and the NASCAR drivers we all know and love - and simply make that first appointment. The ‘Misheard at the Racetrack’ social video highlights how easy Aspen Dental is making it to ‘Get Started.’ Calling attention to the campaign in a funny and entertaining way, the video features humorous translations of interactions between Danica, her pit crew and other NASCAR officials, amidst on-track racing action. The goal of the campaign is to drive users to the campaign microsite www.aspendental.com/getstarted, where they can learn more about the initiative and ultimately book their first appointment to get started on their oral health journey.